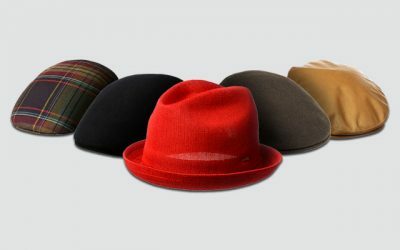 The trilby hat is one of the most classic and timeless hat styles that any man should have in his wardrobe (You can check out other classic styles here https://thebesthat.com/9-classic-hat-styles-every-man/). A trilby hat has a similar style with the fedora hat, except that the brim is shorter. The trilby hat is often worn to formal events such as weddings and churches. With an investment in a high quality trilby hat, you can see that you can wear this hat for many events for many years without it becoming outdated. There are a quite a few things that you should consider in order to buy the best trilby hat for men. 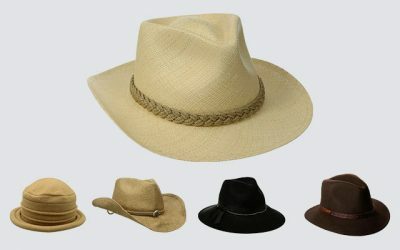 You need to check the quality of the material, the construction, the designs, as well as the size of the hat. 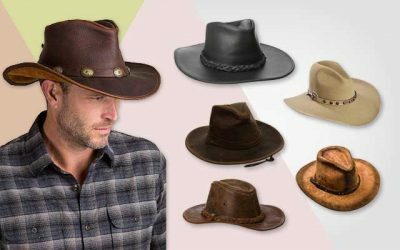 You can shorten the process of choosing the most suitable trilby hats by checking out the best trilby hats that you can have with our review bellow. 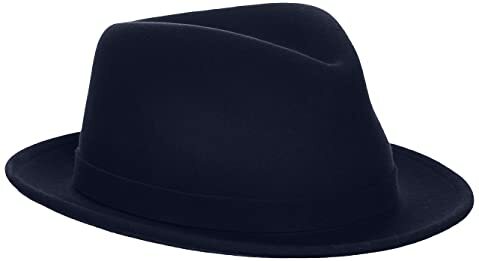 Its Main Features: This trilby hat for men is made of 100 % of Australia wool featuring the design of a trilby fedora hat. It also comes with a leather hatband. You can choose among 4 different choices of colors including brown, blue, grey, and black. The brim of the hat is 2 inches in width. This trilby hat is made with one of the most premium materials that you would find in a formal hat. The material is 100 % of natural Australian wool which is very soft, smooth, warm and also cozy. Not to mention that this type of material makes the fabric of the hat water repellent and dust repellent. While the wool material is warm and capable of retaining heat to keep your head warm, it is also breathable and well ventilated to make sure you feel comfortable while wearing the hat for a long time. Moreover, this hat has an inner sweatband which is built to help absorb sweat, wick moisture away, and prevent your forehead from rubbing the wool material of the hat. The leather hatband is a unique feature of this hat. It can be removed in case you don’t need it. Other parts of the hat are sewn nicely so that the hat has a firm and solid construction. 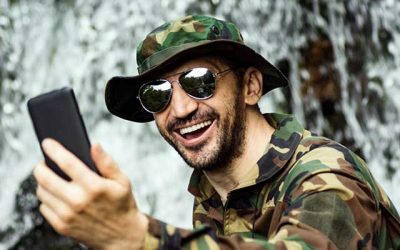 And while the construction of the hat is durable, you can crush the hat and pack it into a small bag to bring with you when you go travelling. If you are in a hunt for a functional and versatile trilby that that you can wear in both formal and informal events, in all seasons throughout the year, this is the hat that you should consider purchasing. 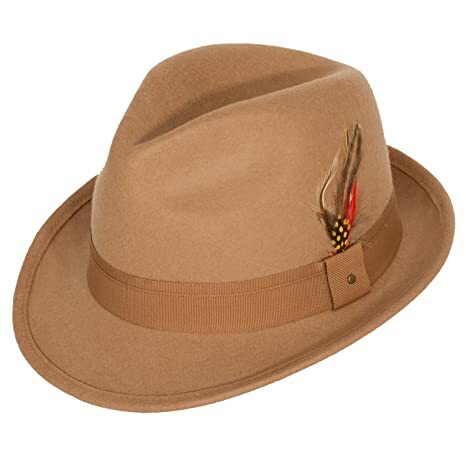 Its Main Features: This trilby hat is made of 20 % of cotton and 80 % of polyester. It features the classic trilby fedora hat style with a tear drop top and a pinched crown. You can choose among 3 different choices of colors which are black, grey, and navy. The width of the brim is 1.6 inches while the height of the crown is 4.25 inches. Thanks to the premium cotton blend, the fabric of this hat is quite soft and smooth on the touch. It brings the feeling of touching the real natural wool. 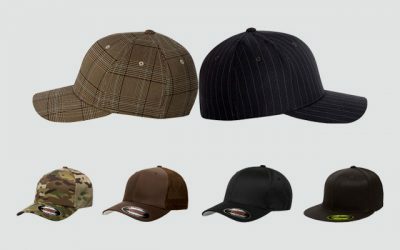 In addition, this high quality material makes the hat tougher and more durable. It is also easy to care for this hat as you can wash it both by hand and with the washing machine. The hat is not only lightweight and comfortable to wear; it is also breathable and well ventilated. And with the staining lining built on the inner circle of the hat, your forehead will not feel irritated at all. This satin lining also helps to wick moisture away and prevent hat hair effectively. The construction of this hat is very firm and solid with sturdy stitched lines for extra durability. It also has a stiff brim that stays in its shape no matter what happens. However, it also means that you cannot reshape the brim of this hat to the shape that you want. This trilby hat is suitable for anyone who is looking for a formal fedora hat of the vintage style. Thanks to its solid and classy design, you can easily pair this hat with other pieces of clothes in your wardrobe. 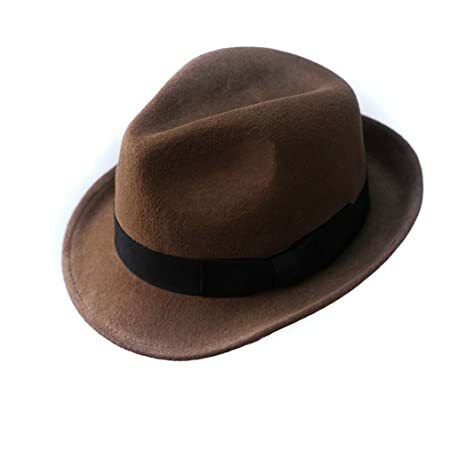 Its Main Features: This Manhattan trilby hat is made of 100 % of wool. There is a wide range of colors and patterns with more than 20 different choices for you to choose from. You can choose among different solid colors such as black, brown, and white as well as patterns such as hounds tooth and stripes. The design of this hat is of the classic style with a narrow brim and a short crown. It also features a herringbone band with the iconic Dorftman crest. Like other high quality men’s trilby hats that you can find on the market, this hat is made with both of the premium quality and the excellent craftsmanship. The wool material of this hat is of the premium quality which is soft, smooth and comfortable. This hat also comes with a satin lining which helps to prevents hat hair as well as your forehead from rubbing against the wool material of the hat. It also makes it comfortable for you to wear in hot days as it is capable of absorbing sweat. Keep in mind that the headband of this hat is not removable. Nevertheless, the hat is quite flexible so that you can have a comfortable and perfect fit with this hat. Last but not least, with this trilby hat, you can choose among many different choices of colors and patterns. No matter what style that you like, you could probably find it here. It goes well with both of your vintage and modern clothes. It is well made with all of the iconic details that you would find in a classic and traditional trilby hat. 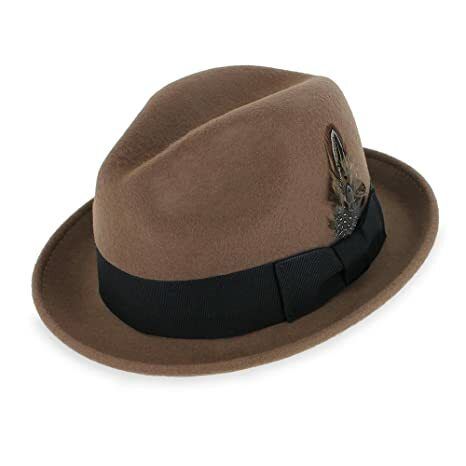 Its Main Features: This trilby hat is made of 100 % of Australian wool. The sweatband of this hat is made of 100 % of cotton. It also features a handmade trim and real color features. This hat is available in 3 solid colors including black, camel, and grey. The material which is used to make this hat is the high quality Australian wool which is soft, smooth and warm. Thanks to the pure and natural wool, the body of this hat is soft and breathable. 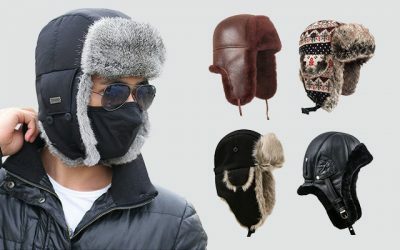 And the hat is capable of keeping your head warm in the cold winter days. Furthermore, you will find out that this hat is stain resistant and water repellent. Hence, it is easy to take care of this hat to ensure that it can last as long as possible. With the soft body, you can crush this hat and pack it into a small bag for easy storage and carrying around. Besides the high quality wool material, the sweatband of this hat is also made of the premium quality which is capable of keeping moisture away and keeping your head cool. It also helps to hold the hat’s shape so that the construction of the hat would remain the same. 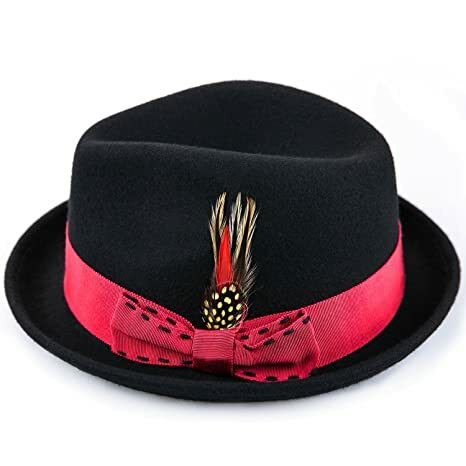 The feather trim helps to add more uniqueness to the look of this traditional trilby hat. You can wear this hat throughout the year in various occasions- including both formal and informal ones. 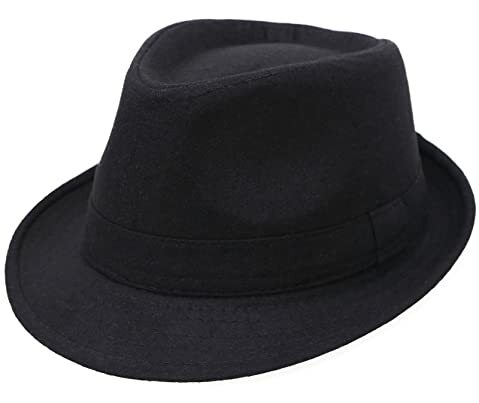 The only minor problem that I have with this hat is that it somewhat runs a little bit larger than other men’s trilby hats that you can find on the market. 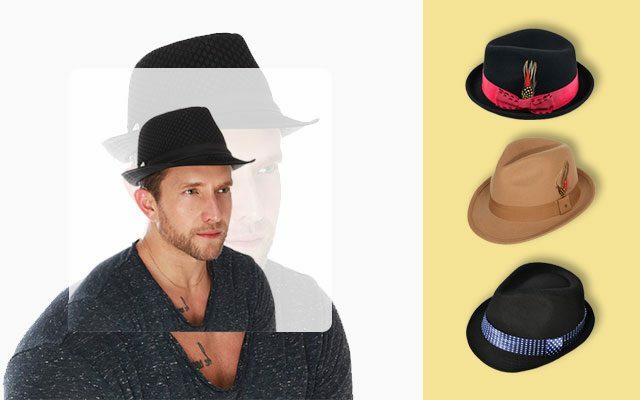 Its Main Features: This trilby fedora hat is made of 80 % of polyester and 20 % of cotton. There are 6 options of patterns for you to choose from. Some of these patterns are black and charcoal, black and white, and brown and beige. The width of the brim is 1.6 inches while the height of the crown is 4 inches. It is available in 1 size that can fit head’s circumference of up to 22.8 inches. It features the classic design with the teardrop shaped pinched crown. 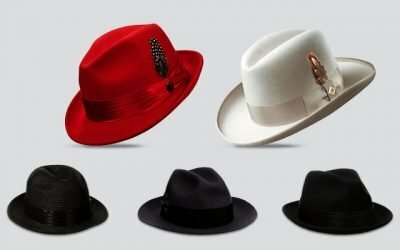 If you are looking for a trilby hat with a more unique design, this hat is one of the best choices on the market for you. This hat has the unique Chevron print (the arrow tops and zig zags) which you hardly find in any other trilby hats on the market. It compliments your Vintage clothes as well as your modern clothes. 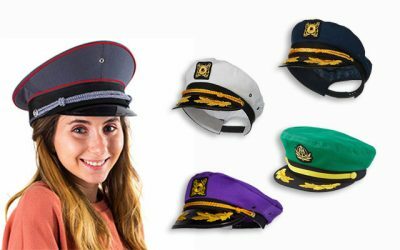 You can also wear this unique and outstanding hat to various events such plays, musicals and more. This hat also has other features that you would want to have in a trilby hat. First of all, it is made with the soft and cotton blend fabric which is also breathable and well ventilated. In addition, it is easy to care for this hat as it is tough and durable. Second of all, it comes with a sweat absorbent lining to wick moisture away to keep your head cool all of the time. And lastly, the construction of this hat is firm and solid while the brim of this hat is stiff and will not be bent easily. 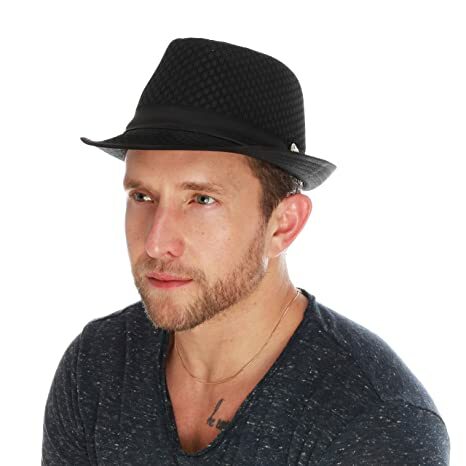 Its Main Features: This trilby hat for men is made of 100 % of polyester with a cool mesh material around the crown of the hat. With this hat, you can have a wide range of colors for you to choose from including black, brown, grey, orange, and blue. The brim of this hat is 1 inch in width and the crown is 4.5 inches in height. The polyester of this hat might not be the softest and smoothest material on the market. But it does make the hat lightweight and comfortable to wear. And the most significant feature of this hat is that it is super breathable and well ventilated. 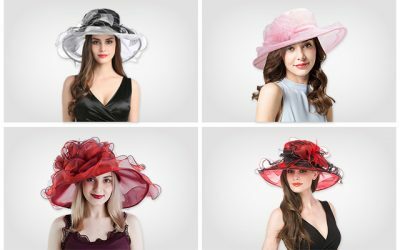 Not only because of the polyester material but also because of the mesh area around the top of the hat, which helps to circulate air for you effectively. Moreover, this hat has an inner layer of cotton lining which is capable of wicking moisture away and keeping your head cool, even when you have to wear the hat for a long time. Therefore, if you are in the search for the coolest trilby hat to wear in the summer, this is definitely the one that you should have in the wardrobe. This hat is also well made with a firm and solid construction. Still, you can crush the hat and pack it to bring along with you in a small bag. When you take the hat out, it will spring back to its original form easily. And if you are tired of the dark neutral colored trilby hats, you can try more fun options with this hat for a casual or street style. There are many vivid and bright colors for your consideration such as orange, navy, and burgundy. These colors all look sharp on the hat. They are also fade resistant for the hat to look like new for a long time. Its Main Features: Here comes another wool trilby hat which is made of 100 % mélange mix wool. There are several colors for you to choose from which are camel, black, navy, charcoal and moss. There are 3 sizes for your consideration including medium, large, and extra large. The brim is 2 inches in width while the crown is 5 inches in height. Thanks to the premium mélange mix wool, this hat is super warm for you in the winter. It is also comfortable for you to wear as well. Not to mention that this material makes the fabric of this hat water resistant, tough and durable. This fabric of this hat is also quite thick and sturdy which helps the hat to hold its shape well. This hat comes with an inner grosgrain sweatband to help wick moisture away and let your head stay cool. Not to mention that this grosgrain sweatband is capable of keeping the wool off your forehead and helping the hat to hold its shape and prolonging the life of the hat. It is definitely a great option for anyone who is starting to build his hat collection. It pairs well with your vintage or hipster look. This trilby hat has an attached feather which is fastened with a single silver tack so that this nice and elegant detail can stay firmly attached to the hat. Still, the feather of this hat can be removed if you like it so. Keep in mind that the crown of this trilby hat is higher than other men’s trilby hats on the market. If you want your head to stay high on your head, this is the one that you should go for. 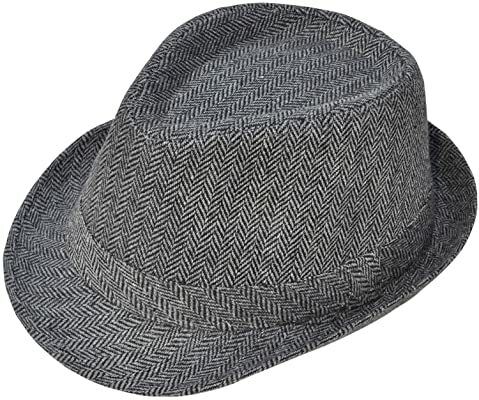 Its Main Features: This trilby hat for men is made of 100 % of wool. 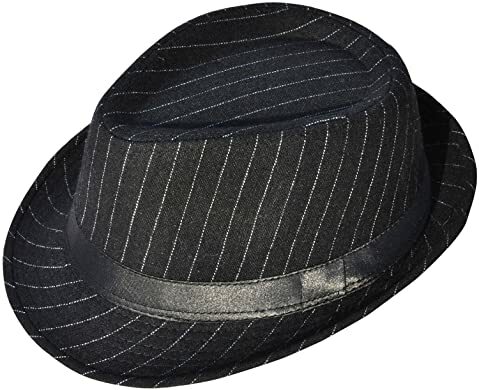 It features the classic style of a trilby fedora hat with a center dent crown and a turned down front brim. It also comes with an oval metal pin. There are 9 options of colors for your consideration including blue, beige, black and brown. The width of this trilby hat’s brim is 2 inches. The material of this hat is 100 % of the premium natural wool material. Besides the high quality premium, this hat is processed with an excellent craftsmanship. It has been crafted with LiteFelt, an innovative and revolutionary treatment process. As a result, this hat has natural and soft fabric to touch. Another thing that I love about this hat is that it is breathable and is odor resistant. While the fabric of the hat is quite thin, it is incredibly durable. It can remain in its original shape well. And even when creases appear on the hat, you can easy iron or steam the fabric to make it flat again. The brim of this trilby hat could not be turned up or down. In fact, it is quite stiff that you cannot shape it and have to let it stay flat. Still, with the classic trilby design and a medium length brim, you can easily wear this hat with a lot of clothes in your wardrobes, including your suit or your Jeans for both formal and informal look. Thanks to the premium cotton material, this trilby hat for men is comfortable and lightweight. It might not be soft and warm like some other trilby hats on the market which are made from wool. However, you can expect it to be lighter and more breathable. Hence, if you are looking for a hat to wear in the spring and summer, this one is a better choice than any other trilby fedora hat which is made from wool. The hat is also crushable and packable. And while creases might appear on the hat, you can easy steam it to make it flat. And for this hat, it is super to take care of. You can wash the hat in the washing machine and dry it with the tumble dryer. It is also durable and weather resistant to last for a long time. Keep in mind that this hat runs a little bit larger than other trilby hats of the same size on the market. So make sure you measure your head and check it with the sizing table carefully to ensure you find the hat of the best fit. Its Main Features: This Belfry trilby hat is made of 100 % of wool. With this hat, you can choose among several options of colors such as pecan, navy, grey, brown, and black. 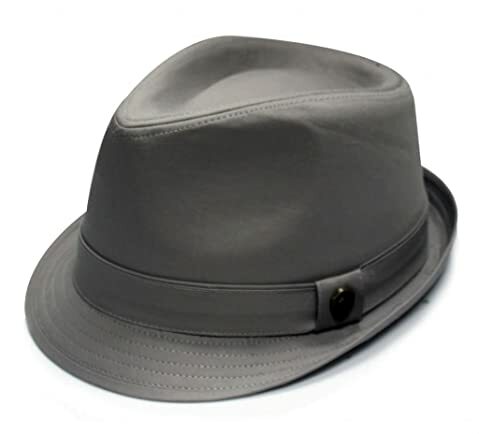 It features the classic trilby fedora style with a pinch front and a dent crown. The width of the brim is 2 inches while the height of the crown is 4 inches. This hat is made of the premium cloud soft wool which helps the hat to keep its shape. In addition, with the soft wool material, the hat is soft and smooth to touch. And it is worth mentioning that this hat is crushable and packable so that you can bring the hat with you when you go travelling. When you take the hat out, it will spring back to its original shape. 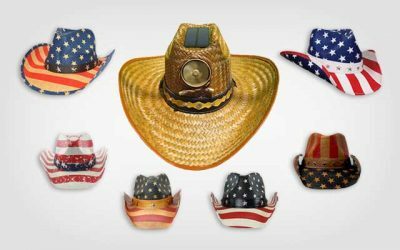 The hat is water and stain resistant so that you don’t have to take much care for this hat to ensure it can look great for a long time. There is a grosgrain sweatband which is sewn nicely on the hat. It helps to wick moisture away and keep your head cool all of the time. Another thing that I love about this hat is that it comes with a snap brim which is sewn into the brim to help hold the structure of the hat and keep the construction of the hat as solid as possible. And not just that. You can have fun while wearing the hat by deciding to snap the brim up or down. 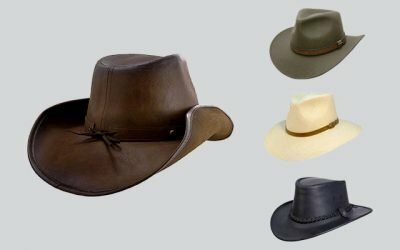 Here is the list of the best trilby hats that you can find on the market in 2018. 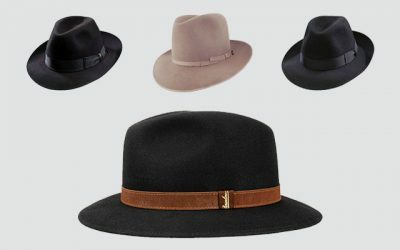 As you can see, while these trilby hats are similar in design, there are still many differences. You can choose among different types of materials such as wool, cotton, and polyester. They are also different in colors and details as well. So think carefully about your styles, your needs and requirements in a trilby hat in order to pick up the best trilby hat to add to your hat collection. If you are looking for similar styles, you can also check out our collection of the best fedora hats here.